Don’t be fooled by the name: Nashville (synth-)pop duo Sleeptalkre are nothing to snooze about. Formerly known as The Queen and King, Caroline Shumate and Greg Graves are charging into 2017 with a shiny, sleek sound that puts the tired Top 40 radio hits to shame. 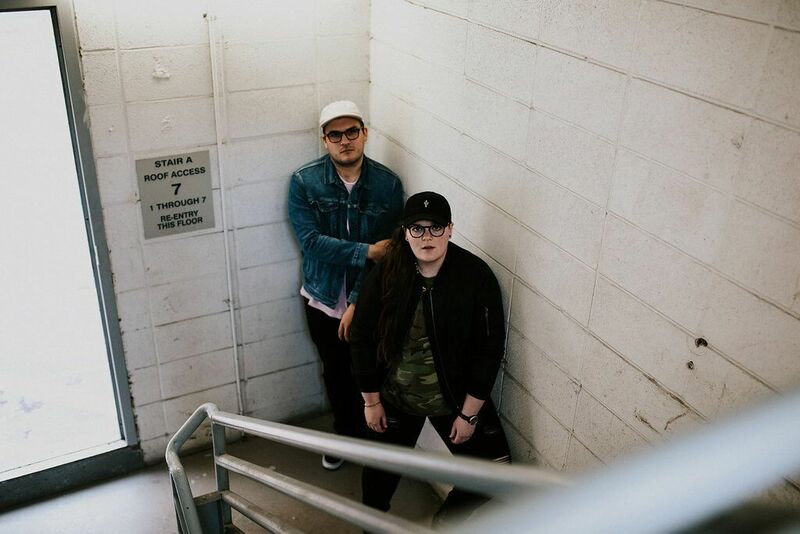 Their mid-2016 single “Fractions” – the first (and only) offering from the act’s upcoming Pep Talk EP, out February 3 – displays an instinctual and fun approach to hard-hitting pop music, the likes of which has been seen in Neon Trees and Walk the Moon, but few others on the big stage. Atwood Magazine is proud to be premiering the first official “Fractions” remix, by fellow Nashvillian Ricca Vita. Any big pop number deserves its fair share of makeovers, but it takes a truly skilled ear to tweak the finished product while staying true to its core. Ricca Vita’s “Fractions” remix stays faithful to the original’s sassy story of not falling into love’s sensuous snare, but its compressed, dance-friendly twist totally redefines the song’s environment, allowing it to thrive in new arenas. Ricca Vita’s bio is rather sparse: The producer dutifully admits to “recording whatever’s in my head,” and indeed a listen to 2016’s debut Ricca Vita EP shows just how creative the artist can be at blending far-reaching sounds in clever ways. EP closer “In the Arms of the Prince of the Dark in the Night” is certainly a thrilling aural experience with its mix of dance, electronic, funk and so many other influences. Ricca Vita brings that open-eyed sensibility to Sleeptalkre’s “Fractions.” The dark, pad- and kick-driven moments littered with leftover 2000s angst turn into bright, keyboard-infused breaths of light and space. It’s highly evident that the producer started with a blank slate, adding from master stems rather than subtracting from the finished product. One can always tell when a remixer starts with the original, or starts with nothing at all: It’s all evident in the transformative quality of the final product. 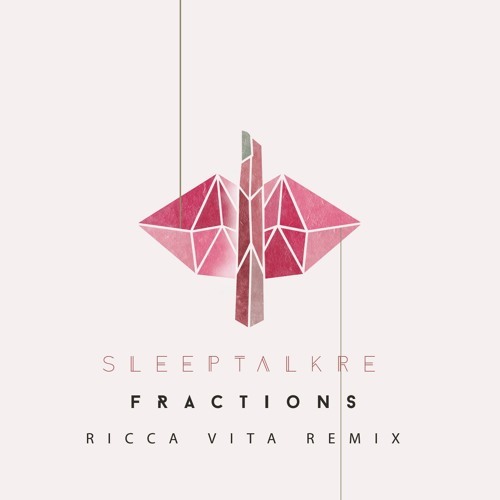 Simply put, Sleeptalkre’s “Fractions” (Ricca Vita remix) is a brave departure from the original. It is airy, driven by bright piano-y hits rather than fat synth pads. The drums do not drive the song; rather, the keyboard hits (and other sounds, for that matter) serve as much for percussive purposes as they do for melodic ones. Hence, when the drums are employed, they feel all the more powerful, a true force to be reckoned with. Whereas Sleeptalkre approach “Fractions” with a rock-like mentality, Ricca Vita evokes the song’s dance pop potential. And oh, how powerful that potential is: How can it be, then, that “The Song Remains the Same”? In “Fractions,” vengeance takes the form of forceful, darker energies. In the remix, those energies become celebratory; “Fractions” becomes a joyful exercise in revenge – a party of sorts. “We’ve had the pleasure of working with Ricca Vita before; he’s a good friend of ours here in Nashville,” says Sleeptalkre. “When we were sitting down thinking of people that we would want to remix our songs, he was first on the list. He has a sound that is so particular and unprecedented, that we had to ask him to work “Fractions.” It was an honor to have him rework one of our tracks. He killed it.” Indeed, Ricca Vita’s “Fractions” taps into a distinct freshness that can’t help but make us surrender to the dance. 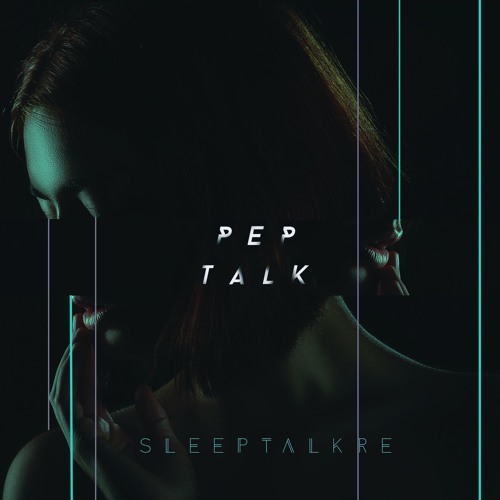 Alluring imagery and tantalizing music make Sleeptalkre an easy electro/dance-pop artist to follow in 2017, and their upcoming debut Pep Talk EP is filled with the kind of energy to get us through winter with an unending fire. Nashville’s exploding pop scene delivers yet another impressive collaboration, blending the worlds of EDM and pop while sticking a finger at all the fuckboys (and girls) of the world.